When I was a teenager I always believed that once I got older all my skin issues would go away. I was lucky in that I didn’t have acne or very many pimples, but when they did sprout they were absolute WHOPPERS. They were always red and angry and disgustingly close to eruption. My skin was always oily and my pores were clogged up the wazoo. What I didn’t expect was my skin to change tactics completely and become overly dry and sensitive with red patches on my cheeks. I thought being an adult was going to be easier!! Pfft! Now I’m always on the look out for products that’ll clear my redness and keep my skin feeling clean and moisturised. 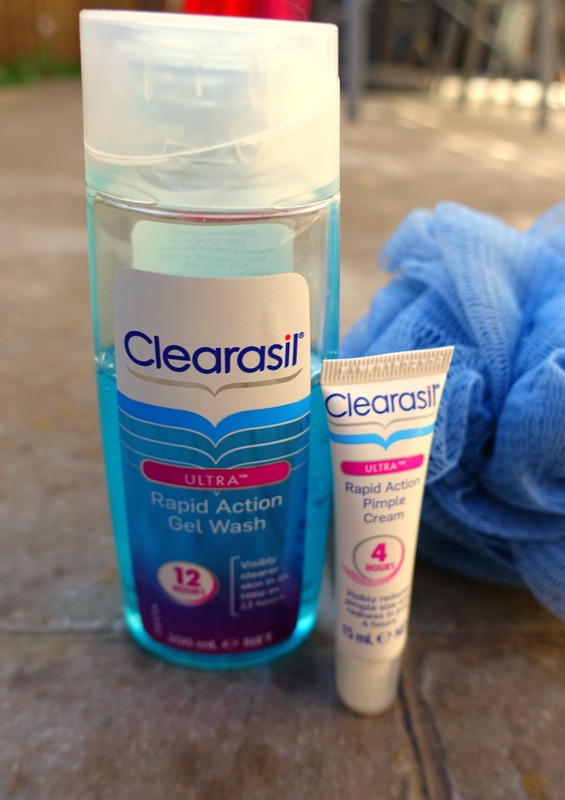 When I was asked by the fabulous people at Clearasil to try out their Ultra Rapid Action Gel Wash and the Ultra Rapid Action Pimple Cream I was eager to give them a whirl. 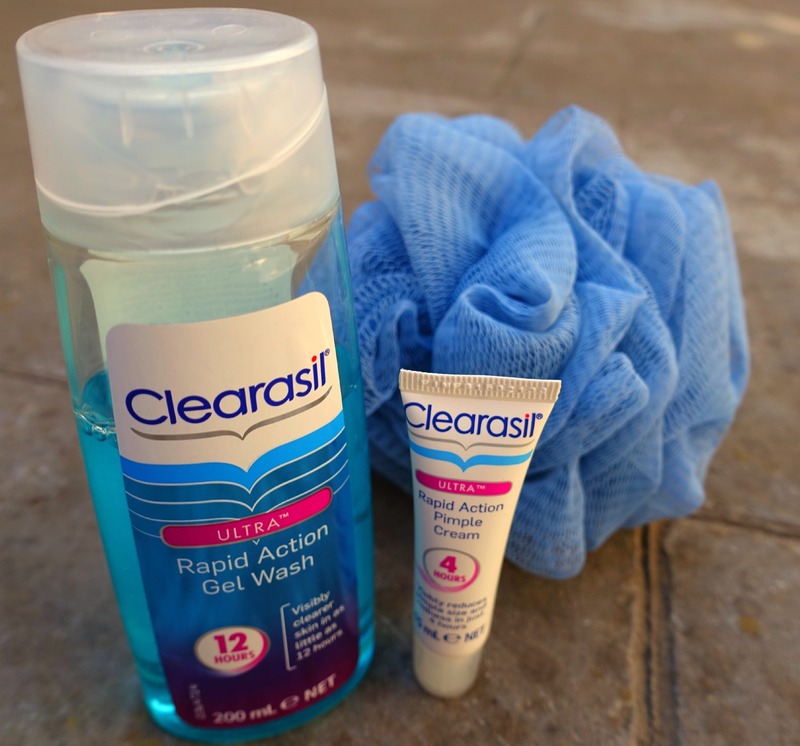 I’ve used Clearasil products off and on throughout the years as part of my skin care routine and know they’ve been reliable and super affordable, which is always a tick in my book. I must say I was sceptical when I read that the cream “visibly reduces pimple size and redness in just 4 hours” but I was pleasantly surprised! For a solid week I used them both morning and night and was so happy with the deep cleansing I was getting and the results were fabulous. My skin was visibly clearer for the first time in a long time. Alas, they didn’t last long 😦 Into my second week my skin started to become very dry with random scaly patches on my chin and around my mouth which I had never experienced before. I kept using them but making sure I was moisturising more often, but that still wasn’t making a difference. I decided to stop for a couple of days and my skin finally began to get back to “normal”. I would definitely recommend using both these products if your skin isn’t overly sensitive like mine. 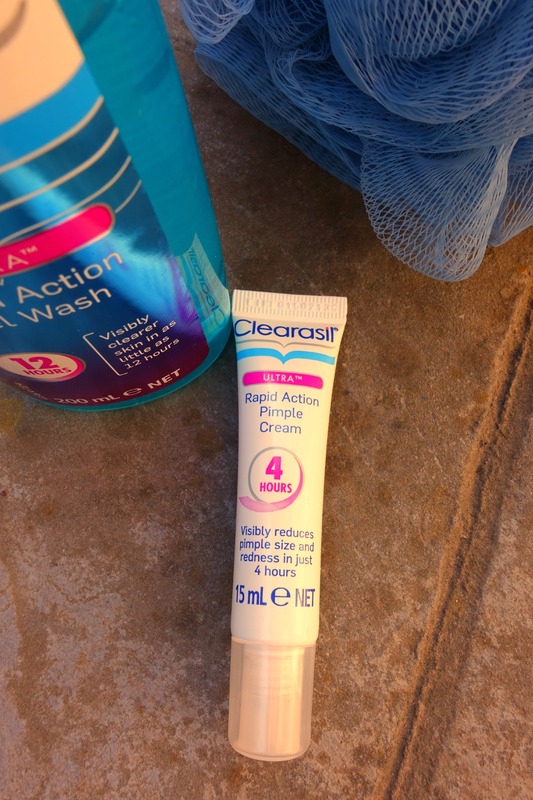 I plan to keep using the Ultra Rapid Action Gel Wash once or twice a week and the Ultra Rapid Action Pimple Cream perhaps every other day with a thick moisturiser to combat any dryness. I just love the fact that it has reduced my redness by half which is amazing. This is the first product to actually do that for me. 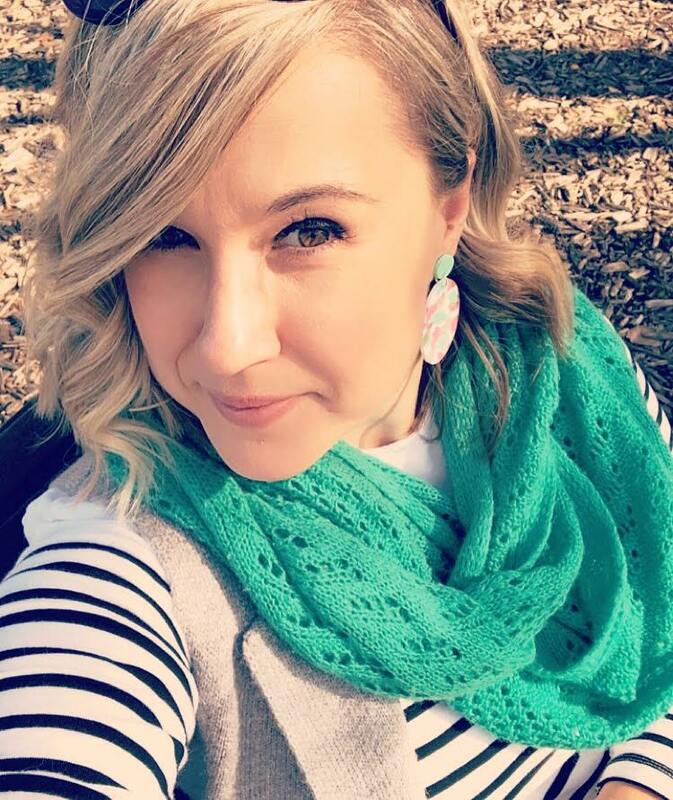 I am almost 40 and still get breakouts. I figure mine will go away when I hit menopause. Sunscreen is always a good idea. I’m very slack and don’t apply it but I figure that my foundation has SPF in it so at least there’s a little coverage there. Hi! I cleanse with Avene Cleanance, then depending on how my skin is feeling ill moisturize with coconut oil or Rosehip and avocado blend that I’ve made myself and then attack really dry areas with Avene Cicalfate. I love Avene products and buy them at Chemist Warehouse whenever they’re on special. THE STUFF HELPED ME OUT—AND THE PHOTOGRAPHER’S AIRBRUSH! Well, I still had a few zits when they took our High School graduation pics. Hey…no warts that I can see!! !